March is my favourite month! It’s my birthday month, my wedding anniversary month and the month that welcomes my favourite season, Autumn. But I also love March, because it’s about the time that CHANEL launches something beautiful for the Coco Mademoiselle fragrance lineup. And this years special addition is not a limited edition, but rather a brand new fragrance. 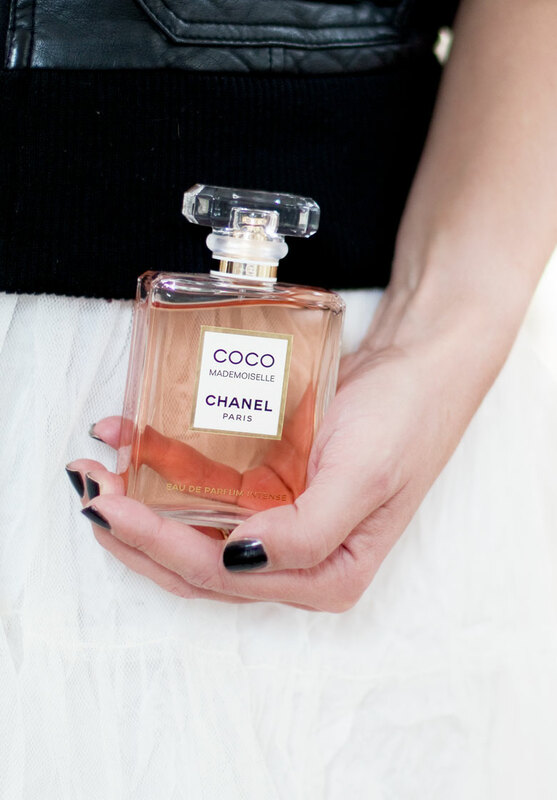 A fragrance that builds on the iconic Coco Mademoiselle. Coco Mademoiselle Eau De Parfum Intense. I’m a huge fan of the original Coco Mademoiselle Eau De Parfum; I loved last years Limited Edition Purse Spray, lusted after 2016’s Touche De Parfum and of course was besotted with the 2015 Coco Mademoiselle Coffret and the 2014 Coco Mademoiselle Bath Collection. Clearly, I’m a fan girl! For 2018, CHANEL wanted to add a new dimension and a new intensity to one of the worlds best selling fragrances. Apparently Chanel No5 has always been a top seller; but recently Coco Mademoiselle has taken over. In the early 2000s, Jacques Polge composed the very first Coco Mademoiselle. A chypre- oral fragrance like no other – where the composition blended the freshness of citrus with the sensual wave of sophisticated patchouli. In 2018, Olivier Polge launches COCO MADEMOISELLE Eau De Parfum Intense, a fragrance which remains true to its oriental origins, yet brings about a stronger impact. Coco Mademoiselle is one of my top fragrances! And although I own more fragrances to last me a lifetime, it’s always one of the fragrances I simply cannot live without in my collection. I love how it’s both pretty and edgy, a little bit mischievous and a little bit elegant. There is nothing quite like it, until of course Coco Mademoiselle Intense! Coco Mademoiselle Intense smells so much like the original, yet it has more zesty sparkle, more patchouli intensity and more edginess! If you love the original Coco Mademoiselle, Coco Mademoiselle Intense will certainly pull on your heartstrings and give you yet another reason to lust after Coco Mademoiselle. It opens with top notes of Sicilian Orange, Calabrian Bergamot and Lemon. In the heart lies Rose, Jasmine and Fruity Notes, while the base notes combine the freshness of Patchouli with Tonka Bean, Madagascar Vanilla, Labdanum and White Musk. Compared to the original scent from 2001, the notes are very similar. However the intense Patchouli in the base notes stands out on the Intense Version. I also picked up the Jasmine quite quickly, as well as the Tonka Bean and Vanilla which are both very reminiscent of the original and iconic Coco Mademoiselle Fragrance. It’s definitely an exciting launch for me! I love the smell, I love the history, I love the ad, I love the bottle, I love the video. Basically, I just love it all! Treat yourself to the 1 minute clip, that captures the essence of this beautiful new fragrance. The face of Coco Mademoiselle Intense, is of course, and once again the lovely Keira Knightly, who looks absolutely sensational in the campaign visual. 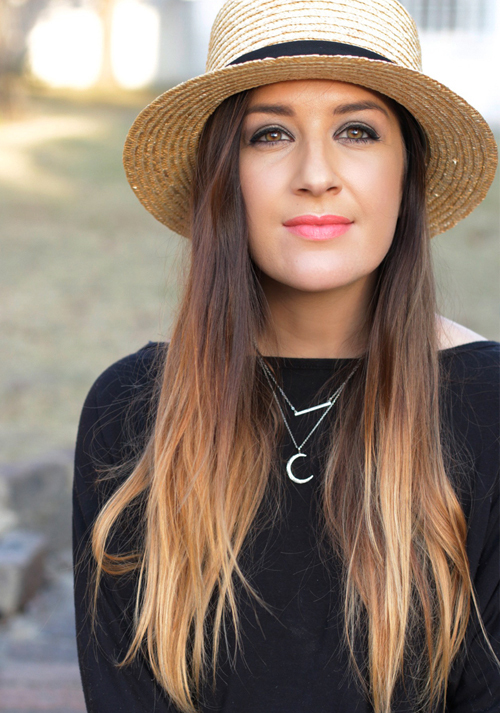 Here’s a quick look at Kiera for Coco Mademoiselle over the years; Starting with her first Coco Mademoiselle Campaign in 2007, 2011, 2014 and now in 2018. Coco Mademoiselle Eau de Parfum Intense launched worldwide on the 1st March 2018. Price: R2475 for the 100ml bottle. Go give it a sniff and let me know how much you love it!